Event Details: Starting and finishing in the heart of Oxford the course heads out along the Banbury road before a loop around Marston and back into centre of Oxford. This is a large event (over 8000 finishing) with a fantastic atmosphere and incredible support around most of the course. Before the race: Let’s be honest, it was a bit of a faff getting to the Race Village with queues at Car Park and then for buses. However, it was a well organised and impressive race village with plenty of loos, secure bag drop and plenty of food/drink options. As with many mass events, it was a 10-minute walk to start and a longish delay before we all got over the line and running. Which personally meant I was in need of a pee for the entire race!!! A lively atmosphere in the start pens with (audible for a change) music and encouragement provided. Although it took a little while to cross the start line, we were soon off and running with incredible crowds shouting encouragement to runners. 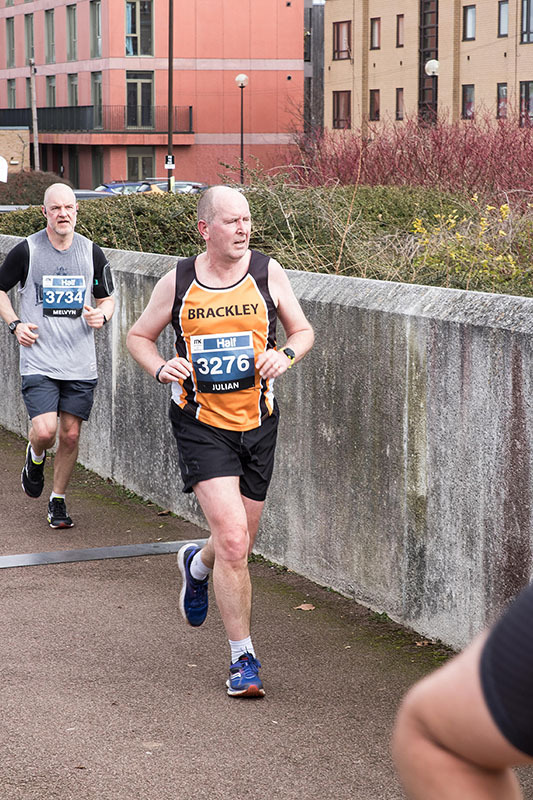 The first few ‘k’ were a bit of a blur to be honest, as I was trying to find my pace – always difficult at mass starts before runners spread out, particularly on narrow roads. However, once out on the Banbury Road there was plenty of space to settle down and enjoy the atmosphere. I have to say I was amazed and impressed by the amount of support around the course, together with the regular bands, DJs and of course plenty of water stations. 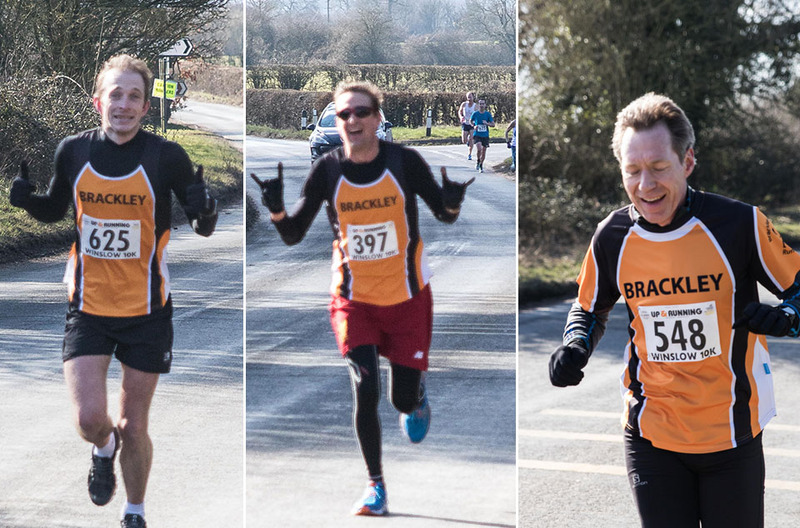 With a slight hill up towards the turn at 4-miles, there was then a chance to cheer on other Brackley runners as we passed each other before the race headed along Marston Road and over the half-way point in Marston Village. Flagging a bit at this point, I was pleased to grab a handful of Jelly Babies and manage a High-5 with Laura as we passed on the road. 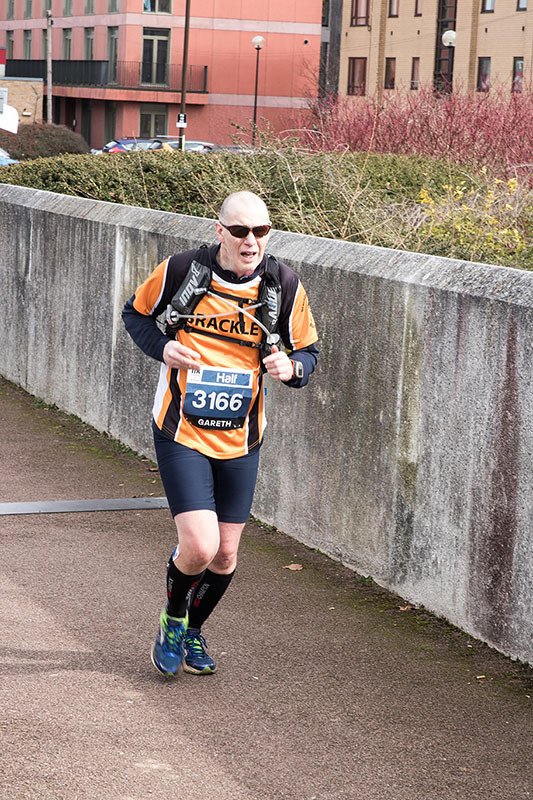 Back into Oxford at the 10-mile point and many runners beginning to flag and walk – I was determined not to give up so wolfed another Gel and stuck firmly to the 1:55 pacer. The last 2-miles went on forever! The route first snaking around University Park and then historic Oxford – a very scenic route and one for another day when I can enjoy it. The finish line was so close, but route seemed to keep heading away from it, but finally there was the last straight and you’re done! A long (well it felt like it) walk back to the Race Village to pick up goody bags and T-Shirts. Unfortunately no medals as they were delayed, but we’re promised them soon! 1. Sarah (I think) reporting later that she grabbed a drink and was surprised to find she’d grabbed a cup of Jelly Babies! 3. Why would you run dressed as an 8-foot tall Chicken!!!! Without a doubt yes – I’ve already registered for 2019! A well organised event, flat with plenty of support and water/aid stations. Ideal for a first half attempt or a PB. 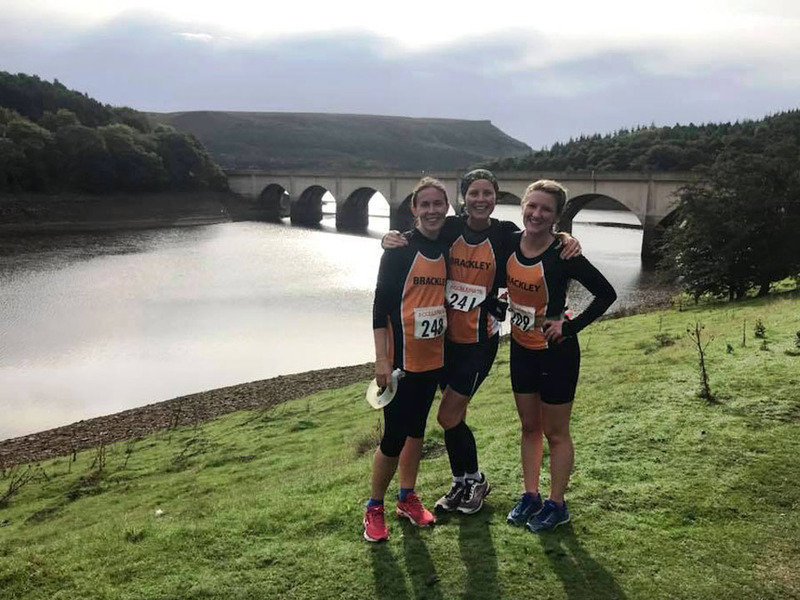 Event Details: The event takes place at the beautiful Ladybower Reservoir. The route a looped circuit of the Ladybower and Derwent reservoirs. 1 x 5 mile and 3 x 15 mile. This will be marshalled and signed. The rest is a mixture of trail, track and a small section of country road (hardly used). Although the elevation of the route is mainly flat, there are undulations. The route is easy to follow and will be clearly marked out on the day. The race from the 35 mile perspective. At the start I was really near the front as I was really keen to get going - this seemed to cause the team concern. The plan was to run at a comfortable pace and see how the race progressed. Then at the 20 mile mark, review the situation. The comfortable pace included walking up the inclines (did not want to burn out later on so figured walking these would be wise). I saw Pete on the way round and I remember asking him when I could push - 'whenever you want, it's your race' was the response. At about 15 miles in I was itching to go faster but I thought it was too soon so I kept it held back. At 20 miles I stopped for fuel and put my 'running' playlist on. I felt fresh, had some sugar in my system and opened the taps. The next 15 miles felt brilliant. My head stayed in a good place, there was no uncomfortable strains, the feet felt good (even after blistering them two weeks prior) and the bodyglide was working wonders. At 30 miles I felt like I could run forever...this did not last long but it was a surprise to feel like that. At 33 miles my calf started to get quite tight but this did not slow me down. I saw the dam and thought I was almost back - wrong dam, it was the next one. 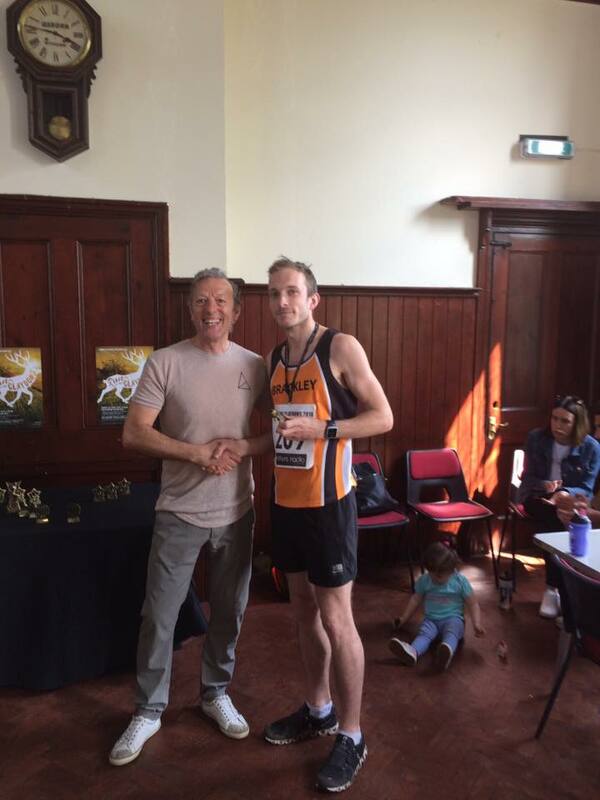 The second 15 mile lap was 20 minutes quicker than my first one (which meant I got a marathon PB in the bag too!!). 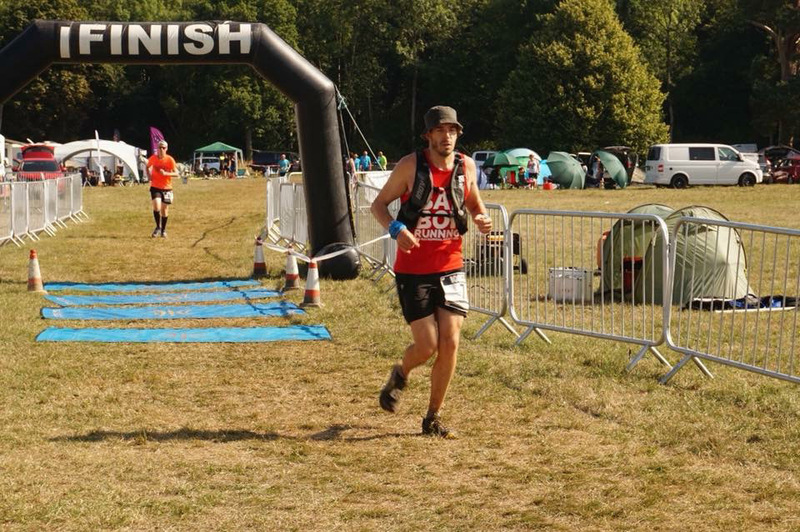 I ran upto the finish to a cheering crowd of BDRC members finishing in 8th place out of the 30 finishers. Staying in a stranger's house the night before the race. I booked through AirBNB but basically I went into someone's house, went upto their spare room and didn't meet them until the morning after. Without hesitation. It's a beauty of a location, the route is easy to follow, the terrain is good with little undulation. The laps are short enough that you do not need to carry loads of kit but long enough that it doesn't get boring. Event Details: Three laps around the beautiful Blenheim Palace grounds on generally smooth roads. The route is described as undulating – an understatement in my book with the long hill on the far side of the circuit seemingly steeper on every lap! Autumn had very much arrived with a distinct drop in temperature and drizzle falling steadily. A change from the usual portaloos with facilities in the Pleasure Gardens available for runners. Once again the event organisers had visited the shop of crap megaphones and not a word of the event briefing was heard more than 1-row back. We dutifully clapped when those at the front did and assumed it was the usual thanks to the marshals etc. From the Pleasure Gardens we headed back to the palace and down over the lakes and then a gradual climb up past the “Column of Victory” before turning off the main tracks and a very scenic (and hilly) loop around the back of the palace before coming back to the Pleasure Gardens. Repeat a further two times and you’re done! 1. On the later laps, when the Palace was open for business, the bemused looks on tourists’ faces as runners dodged past the ambling groups and selfie takers. 2. Before the race Meadster was the only other BDRC male I knew who was running, so I was thinking an easy 90-points for Champs. I was increasingly dismayed as I saw Serge, Stuart and then Sam arrive and my points chances nosedive. My suggestion I could self-identify as a female and get points that way were rebuffed by everyone on the start line. 3. Obviously the December Calendar shoot! Very much so, a small well organised event with water stops at each lap. 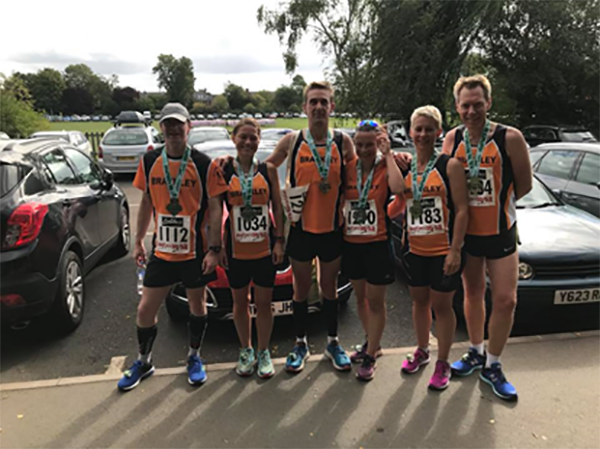 September 9th saw the return of the Culworth 5 ‘fun run’ after several years absence. Being new residents to the village I thought it would nice to be involved and as the start line was a mere 150 yards from my front door, it had to be done! We (Sally & I) collected our race numbers from the newly opened ‘Forge Coffee’ shop in the village. Tempted by the delicious cakes on offer I resisted until after the race! This was a low key event and it was evident by the numbers on the start line that there was a good chance I may finish the race last.....or who knows, I may finish first! But then I noticed club member John Russell was in attendance, so quickly realised it wasn’t going to be the latter! Runners had the choice of completing 1x loop of 2.5 miles, or 2x loops 5 miles. I opted for 5 miles and Sally with ‘bun in t’oven’ sensibly decided to saunter around 1 loop of the course. Runners were gathered at the start behind the Coffee Shop (all 28 of us!) 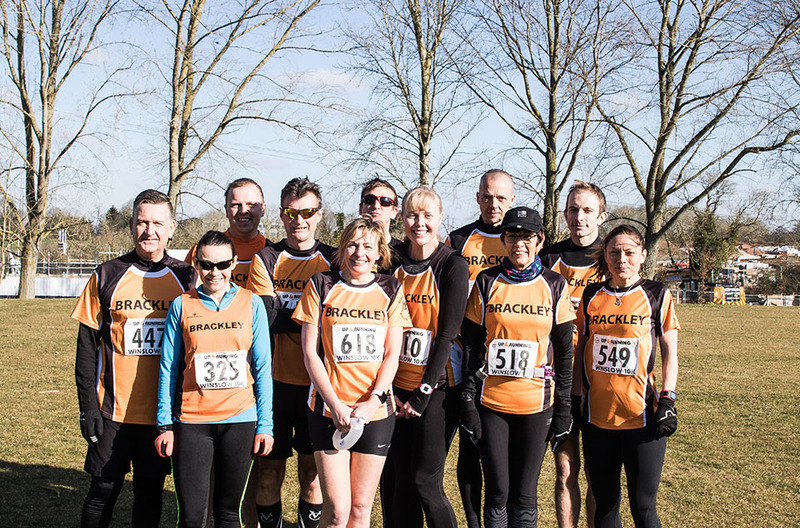 a mixture of junior runners , fun runners and a few club runners. My money was on JR ! The friendly faced and rather jovial race organizer & coffee shop owner Rupert Rowling proceeded to instruct us of the course. Lots of left turns, right turns , a couple of styles and the word most runners dread.....HILLS! Watches set, we were quickly on our way, downhill along side a bumpy & dry field edge. As I was still unfamiliar with the area and with fear of getting lost, I decided to follow the small group of runners in front of me. Approximately 1 mile into the race the first steep climb up into the village past the Red Lion pub certainly got the heart rate up! Sharp left turn into the ‘allotments’ saw us soon climbing the next hill, a long dragging sloped hill to the top of a field and over a style. At this point I found myself in 2nd position, behind a young girl who must have been no more than 8 years old, she was incredible! As it turned out the girl was only completing 1 lap of the course, so I was leading the 2 lappers! 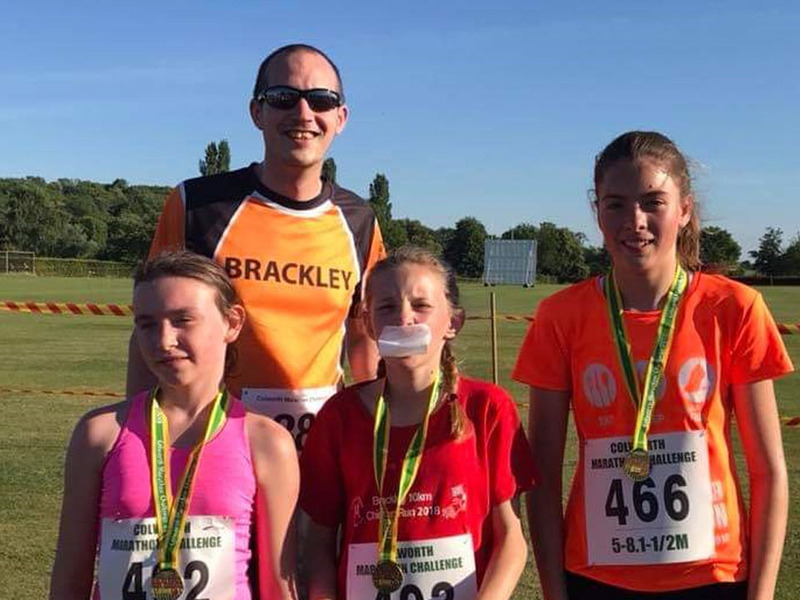 After the first lap I saw the girl turn right into the village cricket field where the finish line was waiting, at this point wish I had chosen 1 lap too..I was shattered! Onto the second lap I trudged, quickly joined by another runner. But where was Mr Russell?? I found the lungs to have a short conversation with my fellow front runner, I muttered to him “I’m fully expecting a blue vest wearing runner to come past us at any point, he’s an excellent runner” referring to JR. That never happened, I discovered after the race (fortunately for us!) John chose to have a sociable run with his partner! I quickly realized the winner of this little village race was either going to be me, or ‘Angus from Eyedon’! I’ve never won anything in my life, not even a scratch card! Not only that, the winner was to cut the ribbon & officially open the village fete! What an incentive! Ha! Angus pulled away with 2 miles to go and I was struggling to breath. There was probably 50 yards between us at the finish line. I was happy with 2nd place. Besides I’m dangerous with scissors! I spent the rest of the day relaxing at the village fete listening to live music & eating hot dogs! 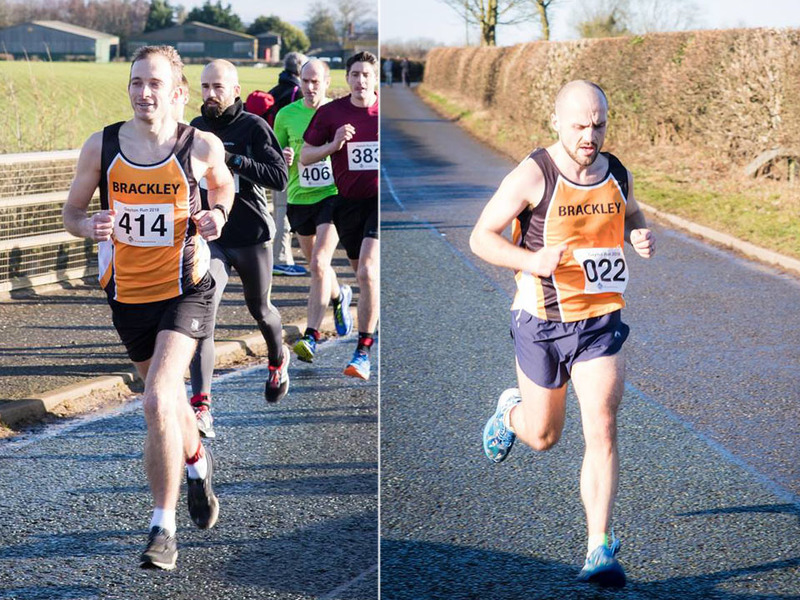 To summarize; a friendly village race making its come back after many years absence. Mixed terrain with two leg sapping, lung busting hills. The race organizer mentioned that he would like to discuss with BDRC about making it part of our club championship & was happy to change the date so not to clash with any other event. Event Details: A flat-ish course, mainly on closed roads and a gravel track. Quite a long race briefing and we were supposed to be in timed areas, but this didn’t quite work out as we all seemed to set off without this being organised. Timing chips posted out with race numbers in advance. Big queues for the toilets caused the race start to be delayed! Started on a closed road (The Shipston Road). The sun was shining from the start, although at times the wind was quite blustery and made the gradual uphill gradient more challenging. At around 5km, we turned for home along The Greenway, which is a long off road gravel track. This was quite slippery with potholes in places so you needed to be observant. 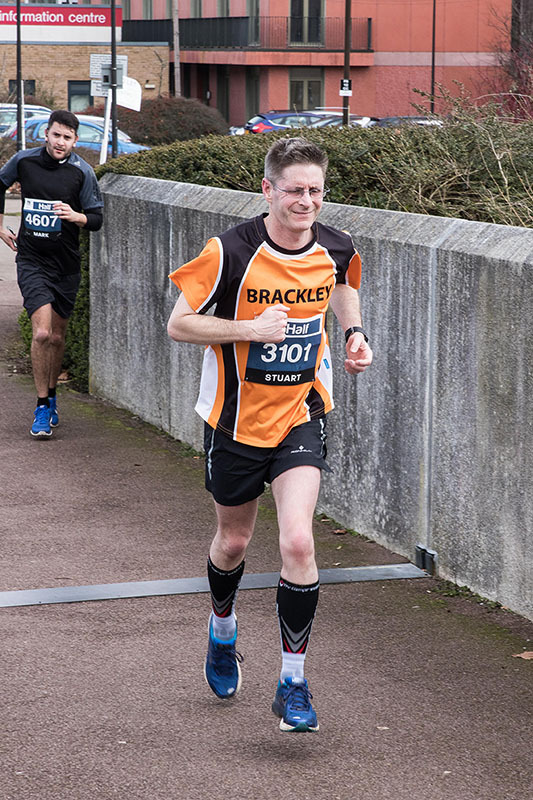 Towards the end, running past the Shakespeare Theatre there were 1km, 800m, 400m 200m and 100m markers. I found this quite challenging to count down these distances for some reason! I was obviously very tired! The finish funnel was near the bandstand over the river in a lovely green area. 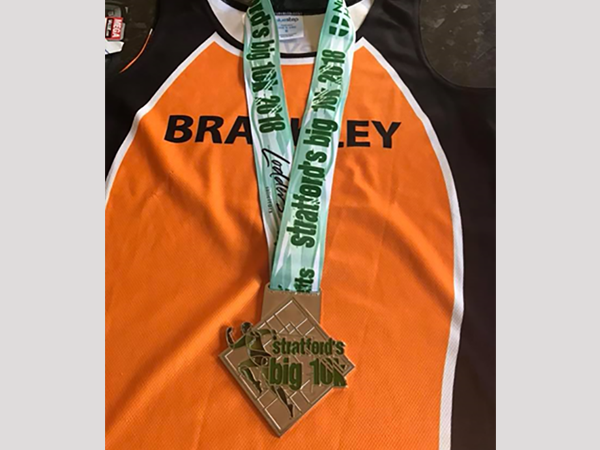 The medal is very large and heavy, quite impressive bling really! In the goody bag was a banana and a small bottle of water. Heidi and I gave our bananas to Chris as we’re not banana fans! Chris, Stuart and I did a good warm down run and some stretching before sitting in the big queue to get out of the carpark. 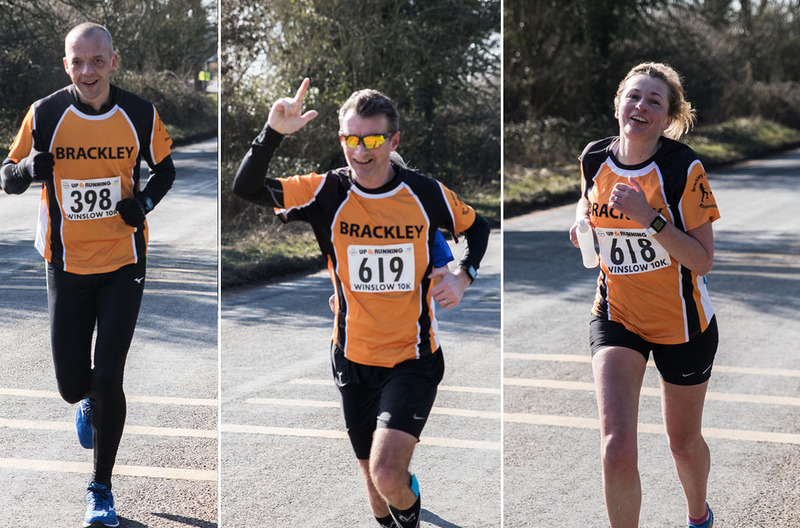 Having the photos done at the end by 2 random runners from another club! Yes, would definitely do this again next year if it was included in the club championship. Parking was easy, although was £1 per hour and long queues to leave at the end. Distance: As far as you can run in 24hrs (midday sat – midday sun), either solo or as a relay team. 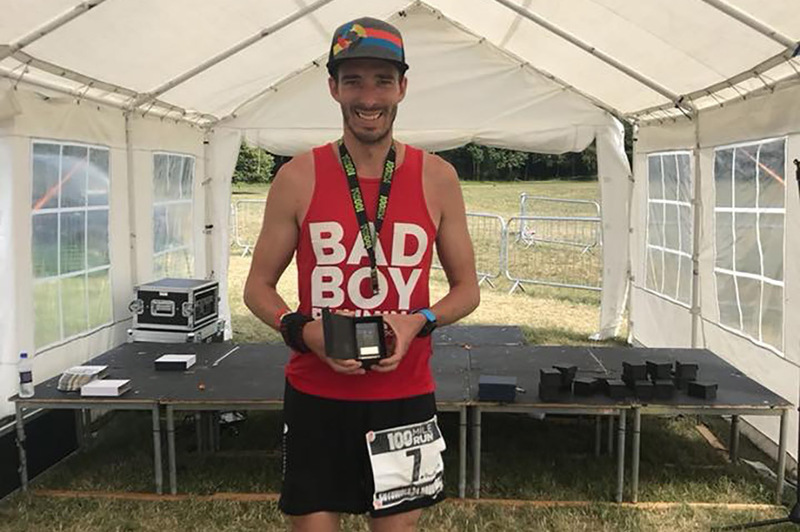 Event Details: A friendly, 24hr individual or team relay race held in the beautiful Bathurst Estate, just outside the town of Cirencester in the heart of the Cotswolds. The race is run over an off-road 9km mixed course including forest trails and open tarmac paths. Tash: Clara Locke, Nick Locke, Emily Cowing, Graham Weir, Helen Brawn, John Russell, Kathryn Kidby, Keely Weir, Kelly Llewelyn, Maxine Sutton, Michael Bishop, SPYBT, Alice Taylr-Gee and me! Tash: Most of us went up on the friday night before so we could relax and have a few drinks. This consisted of cards against humanity and a lovely glass of wine (you almost forget you’ve got to run the next day!) Maxine and Kathryn then joined us on the Saturday morning. Pete: Arriving very early so as to keep everything as relaxed as possible, I collected my race number pack from the helpful event staff in the race HQ, placed my drop box (which contained everything I would need for the duration of the 24hr race) in the allocated area and then just had some quiet time in my van, which was in dedicated solo runner parking not far from the event village. Tash: With a good number of us the original plan was to split into 3 teams, 2 teams running in pairs and 1 team wanting to go quickly and see how many laps they could do. My aim was to beat last year as I wanted to try and show progress, but as a collective we just wanted to go out and have fun! Clara unfortunately hurt her ankle and had to be taken to hospital (didn’t stop her looking at races to sign up to the next day though!) therefore her and Nick had to pull out so we had a re-group and changed to two teams of 6. The race is very well organised with the water station manned 24/7. The food van struggled to keep up with spectators and runners which caused a lot of problems as you needed to try and eat quickly before you went out again. Some of us had done the race last year and the food had been brilliant so I don’t think it helped that we were expecting the same high standard! Personally my favourite bits of the course were through the woods and the long stretch on road when heading towards Cirencester church. Pete: My plan was simple: relentless forward progress! I would stop briefly at my drop box in between laps when necessary to refill bottles, grab food/head torch/charger etc, but other than that I would be moving forward for the entirety of the race. From previous experience I knew roughly how much the stops would drop my average pace, so I set off at my pre-determined pace with an optimistic ‘A’ goal in mind (as it happened, this drifted away from me after about 30 miles, but I was still comfortably within my more realistic ‘B’ goal pace, which is where I stayed to the end). The first few laps were spent familiarising myself with the course; deciding which sections I would use to eat, which hills I would hike etc (you can’t trust yourself to make these decisions later on when you’re fatigued and your brain is frazzled), looking out for any technical sections that would demand more attention (there was actually no technical terrain at all which made things much simpler, especially at night). After that, it was really just a case of plodding on, keeping my heart rate down and keeping the calories trickling in. It was extremely hot, which meant lots of pouring water over myself to manage my core temperature as well as drinking. Miles 30 through to about 70 were VERY boring indeed, although I do always enjoy the different times of day: the sun going down, darkness descending in the trees, the sun coming back up, which breaks things up a little. As we entered Sunday morning things got more interesting: I was keeping an eye on live timing via the event website so could see how other runners were doing and could tailor pace accordingly – picking up pace slightly and going through transition without stopping to get a couple of faster laps in when I moved into 2nd position to hopefully prevent anyway trying to chase me down! This worked as I finished two laps ahead of 3rd place, and one lap behind 1st. 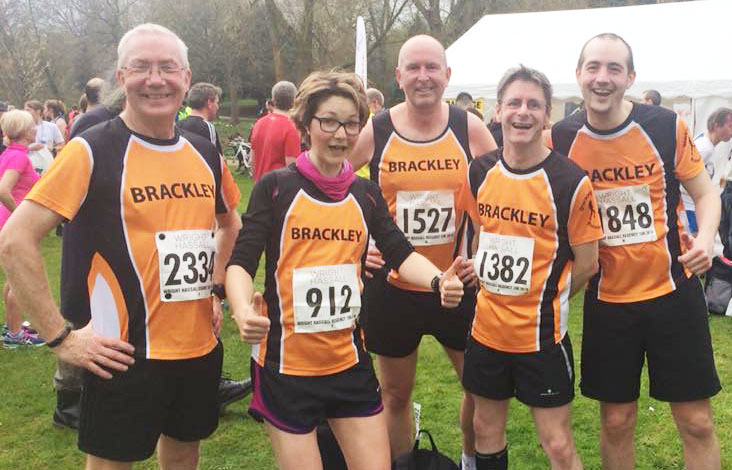 Tash: When we re-grouped we became Brackley A and C. A came 45th completing 21 laps and C came 43rd completing 25 laps. I was over the moon as each of the 5 laps I completed were quicker than the previous year! Tash: Nobody knew at the time but in the early hours I forgot to take a towel to the shower, luckily I had my Dryrobe otherwise I would’ve been in trouble! Keely and Kathryn doing the A-Z of names and Helen living on anything and everything oat based. After 3 hours sleep, everything becomes quite funny! Pete: To be honest, I was far too worn out to find much funny, but it did seem to amuse people when they saw me eating a burger (thanks Tash!) and cleaning my teeth on the run! I found making shadow puppets on the ground in the light from my head torch made the loooong driveway section slightly more tolerable. Tash: Yes, whether you want to race the event or have fun there is something for everyone. It’s very well organised and it’s a great course. Pete: Yes, for the organisation and smooth running of the event. As a course the terrain is not challenging which adds to the boredom factor, but it does make it easier for such a long event. The number of people there mean you’re surrounded my encouragement which is a massive bonus, especially when it includes friendly BDRC faces. Event Details: A scenic one lap hilly route on tarmac roads and rough track. The event is organised by a small committee in Helmdon with profits going to village groups. Before the race: One of the Hurler’s most appealing features is the 11.30 start, giving the opportunity for a lie in and breakfast with plenty of time to spare before the start. 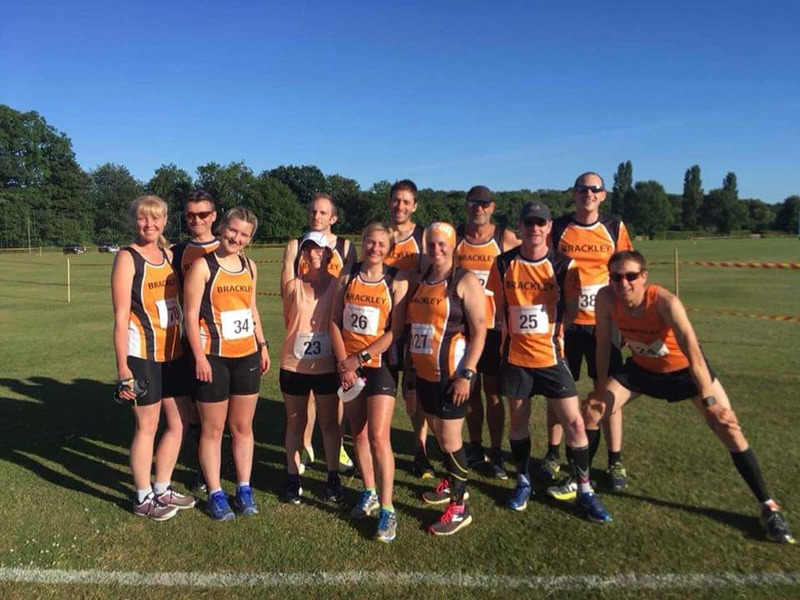 Who ran: Fifteen club members and Matthew Chronicle, set out in a record field of 156 runners. There were many other members who came along and supported and cheered and took photos. Those who were snapping away up the final hill are especially deserving of thanks, to witness such suffering and be unable to intervene takes its toll. 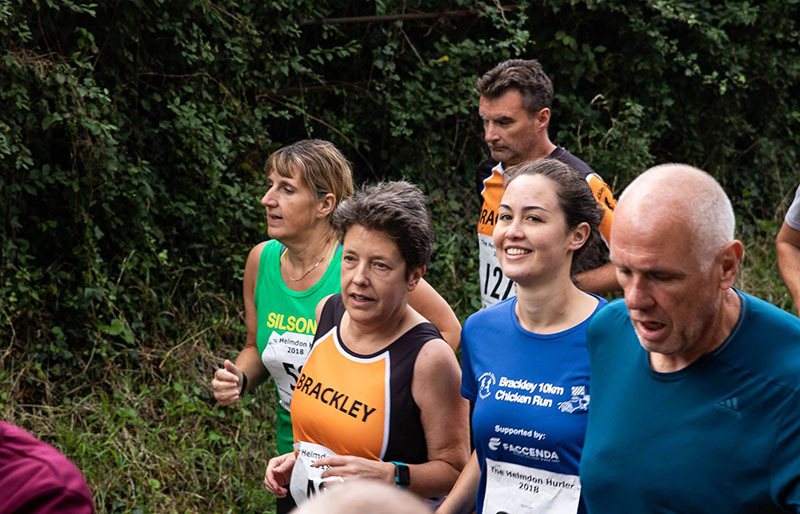 The Race: This was the 9th Helmdon Hurler but this year, although the route remained unchanged, the start and finish point was moved up the hill to Manor Farm opposite the church. As a gathering point for competitors and their supporters it was ideal, beautiful surroundings, plenty of space for cars, barns housing the barbecue, loos and bag drop and the delightful views of the village below. The weather, after the long hot summer and the previous day’s incessant rain, was a perfect combination of warm but breezy and sunny but not insistently so, that makes you set off with a feeling of optimism and joie de vivre. Soon sweated that out. From the start you run along a quiet country road and after 500m or so turn left onto an undulating but generally downhill potholed track. At about the half way point you rejoin a tarmac road by the mill at Astwell and begin a long (3/4 mile) incline up past the cricket ground and back into the village. Barry Cornelius was waiting in the middle of the road at the top of this hill. Of course. He got my thinnest smile. From there it’s a niceish run down into and through the village until you turn left into Church Street, the top of which is the finish. 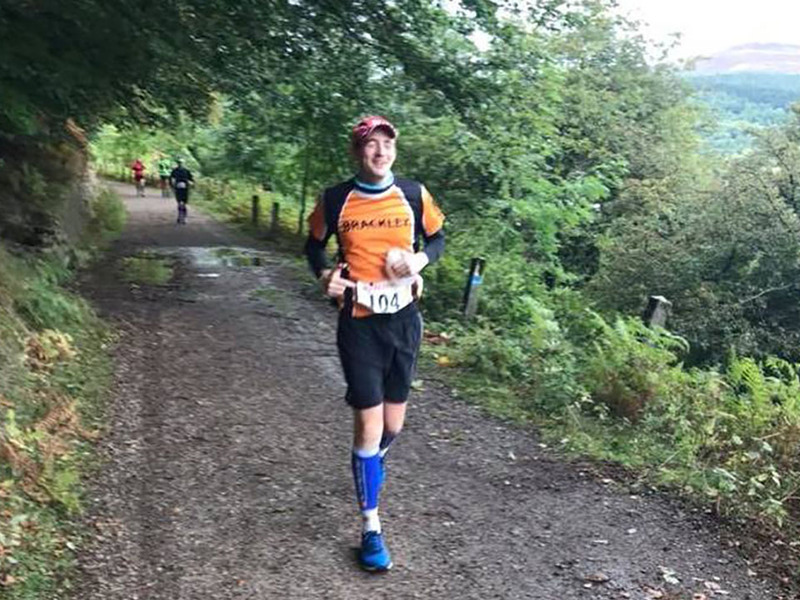 In the weeks leading up the event, there had been much discussion (and some scaremongering, apologies) about the merits of finishing up that effing hill. 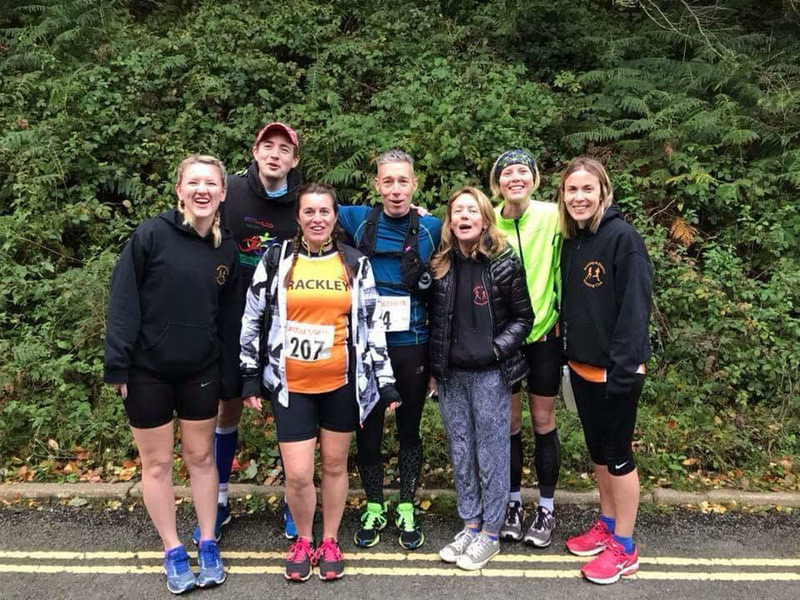 Among some it was thought that the times would be slower than before but one of the old salts in the club told me afterwards that, apparently, real athletes get nicely warmed up on the flatter start and encounter the hill at the end with barely the batting of an eyelid. The old salt was right of course, both the men and women’s course record was broken in this year’s event. The course is well marshalled and sign posted and is well supported by the residents of Helmdon. The Sports Club do a good barbecue and there is a bar. I have to say I was out on that course the longest and found little to laugh about. I am sure everyone else was having fun though. Would you recommend? Definitely. It is a beautiful run, it has a great atmosphere and, although a short race, it is quite challenging but not off putting. Nice and local too. The run director needs to get a megaphone for next year. It did have a few glitches in the technical department, the promised timing of the run up Church Street, the King of the Hill, didn’t materialise but is promised for next year. I was also pleased to see that a suggestion made a couple of years ago was adopted and now Hurler Heroines have their names on the T shirt as well as the blokes. Quite right too! Event Details: The start is in the village of Belstone and the finish is at South Brent. You pass over the Moors close by to several Tors to Postbridge, from there to Dartsmeet, Princetown, Didsworthy to South Brent. Before the race: We had to park opposite the Village Hall. Once in there we had to sign on where our packs were checked for Waterproofs, survival blanket, emergency food and at least 500ml of water. We then had to walk through the village to the start point on the edge of the Moors. At the start we were given a safety lecture and the route explained. The Race: The first part was mainly uphill to get us up on to the Moor. To start with the terrain wasnt too bad but once on the top of the Moor it became a bit boggy. Gradually it became rockier and stonier wich got harder and harder to run on. There were several streams/rivers to cross, some with stepping stones some without. The views were stunning and there was a lot of Life to see up there including Ponies, Cattle, Sheep, Mice and birds. There were supposed to be amphibians up there but I didn't see any. There was also a Hornets nest in the wooded area, although I came out unscathed but some of the other participants weren't so lucky. The moment when you are passing what you thought was a very large Cow and it turns out to be a Bull protecting his Ladies. Would you recommend? Yes. Very friendly and great organisation. Plenty of food and water at the pit stops. A bottle of Beer from the sponsors at the end and Great Italian food and coffee at the finish. I picked up Claire Frogley and drove to the venue on the Friday afternoon. Managed to get to the wrong side of Santa pod, but soon got back on track and found the Colworth Club. Arriving we found Boggy and Clip Clop had their van set up in the fence line so we made our club camp from there. Set up tents and generally got settled in before getting ready to run at 7pm. 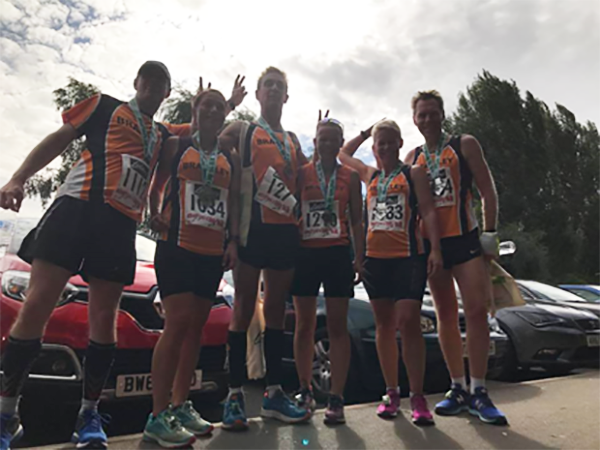 Who ran: Kevin Tustain, Christopher Noble, Ian Marriott, Jamie Horsman, Michael Bishop, Adrian Crookes, Nicola Crookes, Pete Faulkner, Stuart Coomber, Natasha Berry, Claire Frogley, Suzanne Bass-Twitchell, Maxine Sutton. We also had Lucy, Holly and Abi-Jo running in the 2k children’s race. The course was a lovely multi terrain, undulating but nothing to steep. The race started with a lap of the cricket field then out onto a road. Up a track and then out into the countryside. Grass fields, woodland and more tracks. A water stop was just as you entered the woods just over the half way point. There was a dodgy bridge with loose planks (which nearly caused me to come a cropper when the end I trod on shot down and the other end shot up) just as you exited the woods at about the 3.5 miles. The finish was flat along the side of the cricket field with the finishing line just in front of the club house. colworthstriders.trevolution.org/route_map.php?map=colworth_5 . After the race we to see Kevin Tustain receive his 3rd place trophy. Kevin Tustain 29.35 (3rd place overall). Maxine had been over the previous day and pitched her tent. But it was not where the rest of us set up camp due to Boggy’s van having to be in the carpark, he set this up along the fence line so the van was in the carpark but the awning off the side was in the tent field, plus Maxine’s tent was then surrounded by other teams tents. 1st team event when we all arrived, we all went over and picked up Maxine’s massive 8 man tent and carried it still erected across the camp site to join the BDRC tent circle. Claire’s bright green tent instantly attracted a plague of little black beetles. Michael Bishop lining up with the children’s 2k race. He very kindly ran it with Abi-Jo. Well organised and supported event. The course was lovely. There were plenty of Marshalls on course and it was well marked. A good atmosphere. The campsite was nice with good toilets and hot showers in the club house as well as porta loos out by the camp site. The club house also contained a bar and had TV showing the football (think there was some small football event going on at the time). There was a BBQ on the Friday evening which had a variety of good quality burgers and sausages (hot dogs), including vegetarian options. Event Details: The start is just North of Stroud and finishes at the Broadway Tower. 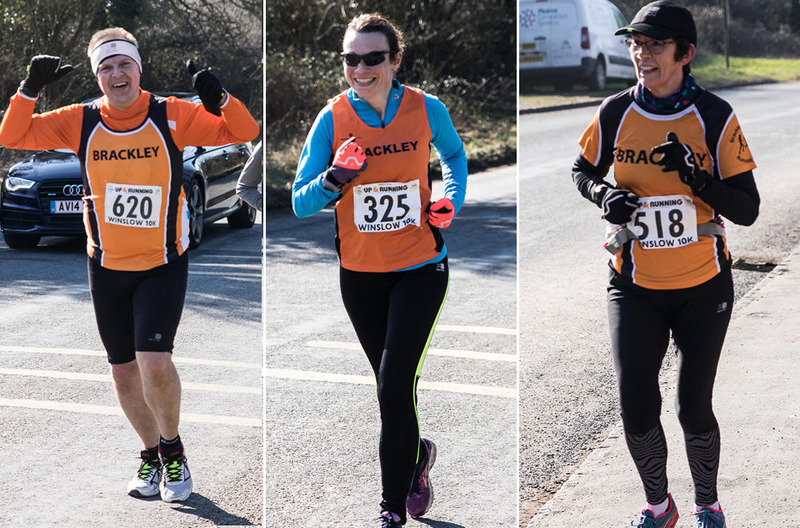 During the race you pass the Devils Chimney, Sudeley Castle, Hailies Abbey and Shenberrow Hill. Before the race: We met at the start area for registration. The organisers had two men leading the stretching and warm ups. They then ran through the route and safety features. 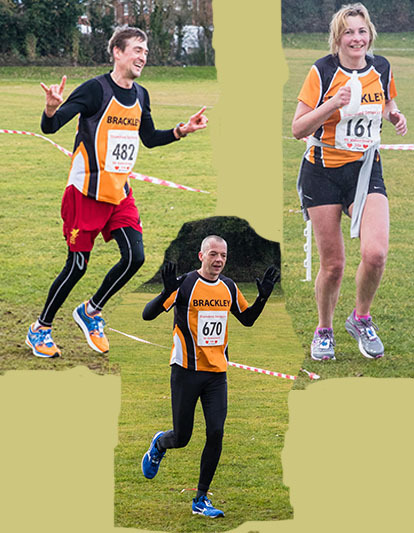 Who ran: BDRC – Gareth Bowden (Chairbow), Pete Faulkner (Boggy), Natasha Berry (Clip Clop) and Gareth Meade (Meadster). The Race: We watched Gareth and Pete go off at 8.00am in the first wave and then Tash and I joined the group for wave 2, 8.15 start. We started under the inflatable arch and off we went slowly. Several miles later we came to the first Pit stop. Time to water and feed. This is how it went on for the next 40 odd miles. At half way we were met by Petes parents, his Dad even ran over the half way line with us. Then we were off again eventually arriving in Broadway in the Pitch dark of the night. Finished at last!! For Tash, every time I fell over. Would you recommend? Yes, very well organised, course marked out excellently, even at night, so no need for maps. There was plenty of food and water at the Pit stops, a bit pricey though. 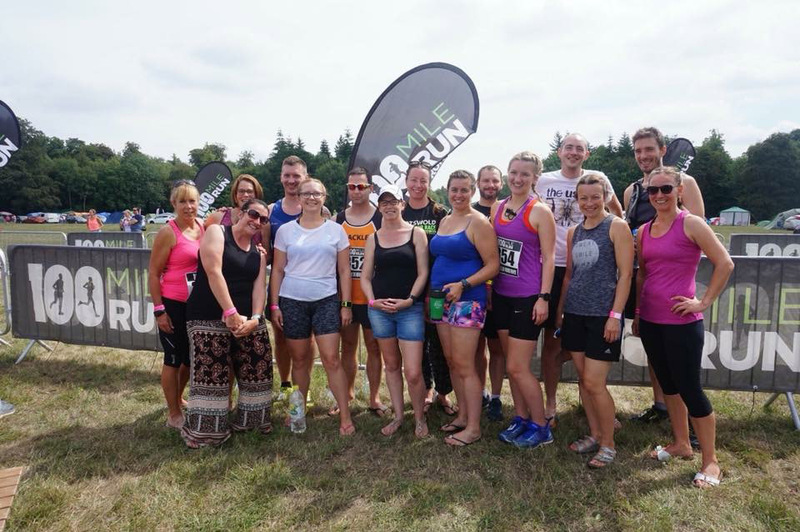 The event: Starts near the M40 in Oxfordshire in the Chiltern Hills and finishes at Avebury circle on the North Wessex Downs. You pass Grims Ditch, Uffington White horse, Waylands Smithy, Liddington castle, Barbury castle and finsih running through Avebury Stone circle. Report by Gareth Meade: I Was in wave 3 and started at 8.00am. The day was very hot and by the third pit stop I knew something was wrong as I didn’t like taking on water. At half way The guys told me to get something to eat in the Marquee. Once inside I felt weak and sat down where I actually collapsed. A Medic was brought to me and she said I wasnt going any where. She took me to the Medical tent and started to cool me down. I was one of many suffering from Heat exhaustion and sun stroke. After three hours they were happy to let me go. So I went and got some food in the Marquee. At 8.00pm I started out on the second half. During the second half I saw the sun go down and then eventually saw the sun rise again, just before i got to the end. Funny Moments: For the medics when they poured freezing cold water over my head and my back, They thought my face was hilarious. Would you recommend? Yes, as the others, excellent organisation. First rate Medics. A little pricey. 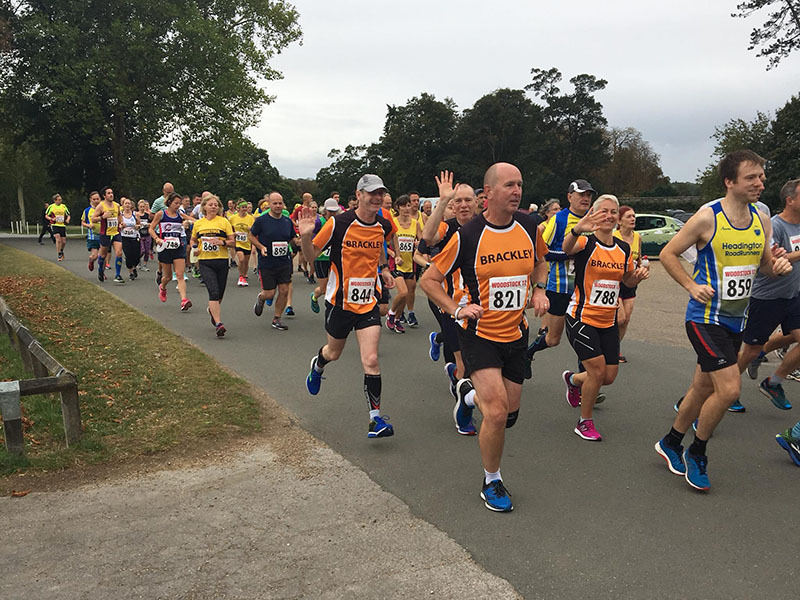 The event: The start is near to Goodwood House or Chichester and the finish is on the steps of Winchester Cathedral, the UK’s original capital city. You pass through Queen Elizabeth country park and pass Cheese Foot Hill and Beacon Hill national nature reserve. Report by Gareth Meade: Very similar to RTTT, went to signing on, then had warm and stretching with the Two Stooges. Then we were given a run down of the route, signs to look out for and then given the safety procedures. Funny Moments: I fell over again!!! Would you recommend? Yes, excellent organisation, though a bit pricey. Before the race: Doing our bit for the environment and lift sharing, the BDRC contingent went in just 2-cars, with most of us crammed into the Brackley Bus! Key point of discussion on way over was who was going to beat last year’s times – we all got very depressed when Pete worked out what pace we would need to run to achieve this. Some scratching off heads as to how we even achieved these times – of which more later! Meeting up with Bish Bash and Mini-Max in the muddy car park (wise choice to take the Land Rover KJ) we all picked up numbers and random time generators errr I mean timing chips. Was then the usual mixture of warm-ups and walk to the start – which for no obvious reason is down a very narrow path? Why they can’t start the race on the road and move the finish to the Village Hall we will never know. Kevin, Pete, Bish, Julian, Claire, Sarah and Natasha. Maxine in attendance as support crew and photographer. Once all runners were on the start line, the Race Director gave out last minute instructions and advice. What these were we have no idea as the megaphone was worse than useless! Nevertheless we all set off, as noted a very narrow path which meant you were running at the pace of the person in front or risked a fight with the nettles and brambles. Once clear of the path the race headed through Bidulph Claydon and out into fields and then farm tracks. The overnight rain made many people’s decision to wear trail shoes the correct one, as the going was slippy. A run through the woods before emerging onto surfaced (albeit it badly) farm tracks and the much needed water at half-way. There was a long road section into the hill in Steeple Claydon (can you see why it’s called Run the Claydons?) before turning off onto the last climb back towards East Claydon. Rather scarily the first part of this was through a graveyard – I was so hot at this point I was worried I’d just end up there! Cornish was going so fast he didn’t notice the graves. Back onto the roads in East Claydon it was a short sprint to the finish. A brilliant run by Cornish saw him finish 3rd overall - thankfully upholding the honour of having Matthew’s number. 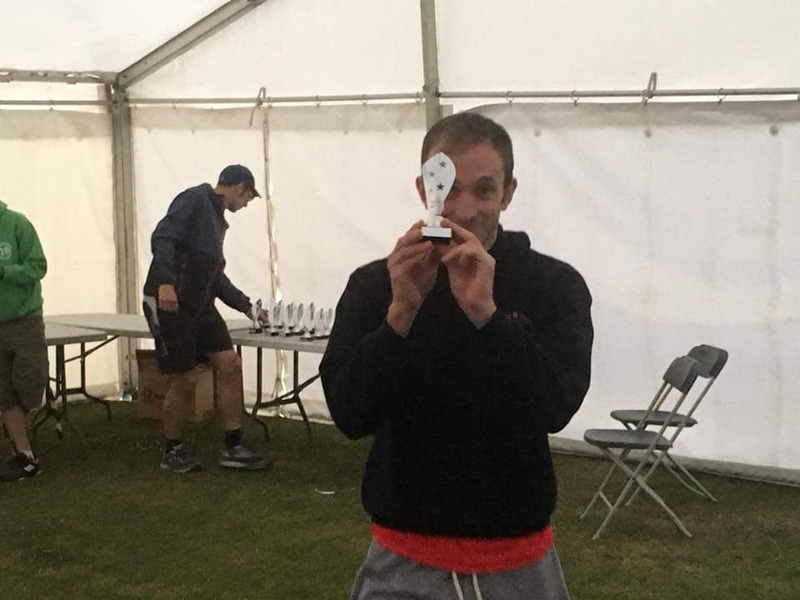 Although to be honest, after a long (and I mean long) wait for him to receive his prize, most of us were wishing he’d finished 4th ;) Only joking – no need to feel too guilty! The official results are below, however we all reckoned that the timing was a good 2-minutes out in our favour. Certainly my Strava time was more like 1:02. Maybe there was a similar issue last year and this explains our times then!!! Apparently Mark Palser breathed an audible sigh of relief when Kevin told him Matthew wasn’t running. The increasingly loud comments from Pete regarding the organisation of the prize giving – we were all thinking it!!! Would you recommend? Sort of! It’s a lovely course and generally well organised, however it is pricey (£18) for what it is. As a fun run it is excellent, as a serious event it isn’t quite there. 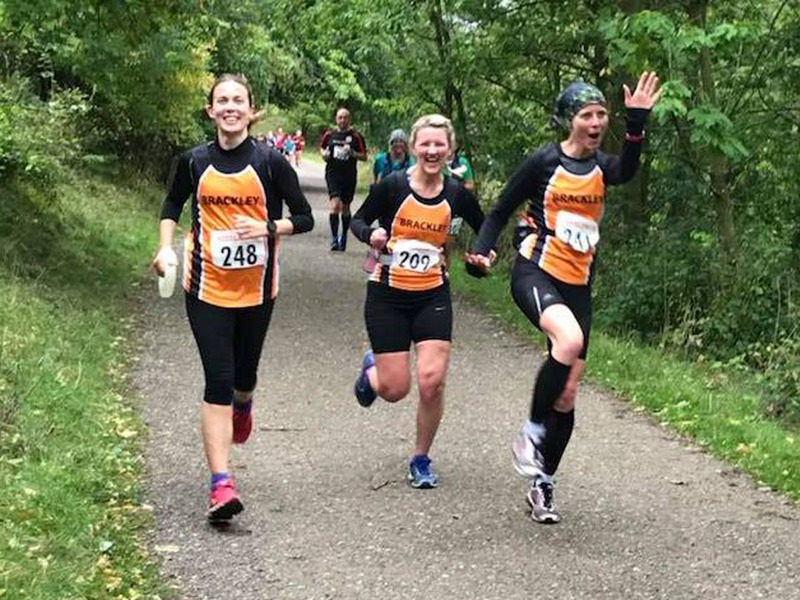 Event Details: The course starts just off Newbold Terrace, joining a golf course where the runners go anti-clockwise before they then join Newbold Terrace East. Finally the runners enter the gardens for a run alongside the river. Before the race:We had difficulty finding the registration tent for the event. The finish line area was busy and it seemed that most of the organisers were congregated there. After a few enquiries we were directed towards the start line and found registration just next to the start line. There were over 2000 runners at the event and we were set off in waves to prevent a blockage at one of the early narrow parts of the course. The Race: The start was downhill before entering the golf course which I am reliably informed is part of the Park Run course. The golf course was uphill and quite muddy (win - I’m wearing trail shoes!!). The course peaked at about 2.5 miles in before a sharp drop and onto a more solid surface. Once outside the golf course there was a gradual downhill section on a main road where there was plenty of support before going back into another couple of parks for a scenic finish alongside the river. Trying to find the registration tent at the start of the race. The chaos as the Local Scout group tried to locate our baggage after the race (to be fair they did a good job) and the sprint finishes of some of the competitors who absolutely tanked it at the end. Would you recommend? Absolutely, it was a challenging course but there were plenty of attractions on the way round. Very glad this isn’t in the handicap championship though . Great decision YT!! Event Details: BDRC Club championship race. Listed in top 10 PB potential half marathon courses according to Runners World website. 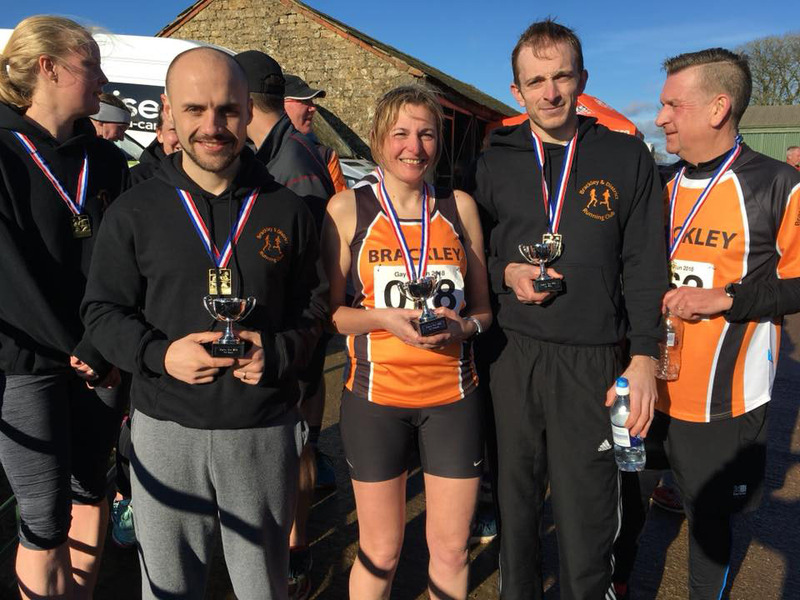 This chip timed race also features in the Oxfordshire County Half Marathon Championships. Before the race:BDRC members car shared as parking is relatively tight and congregated in the race HQ carpark to distribute Chicken Run flyers (more of that later). 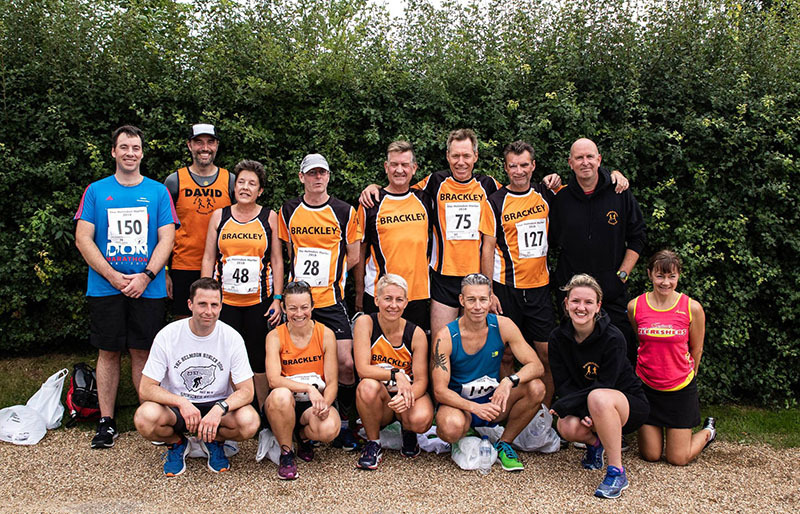 The club was well supported with 13 BDRC runners in attendance with debut half marathon performances from Kelly and Nikki. The Race: This is a popular flat half marathon route with 410 runners finishing within the 2hr 30min cut off. The weather was cool and a little damp, almost perfect conditions for running (in my opinion)! After a reasonably long walk from the race HQ to the start it was nice to have BDRC support at the start line. The race runs through villages of the Vale of the White Horse starting in Grove and then winding through Denchworth, Lyford and Charney Bassett before returning into Grove. The race is a ‘lollipop’ arrangement with the first and last 3 miles (approx.) sharing the same road. The race was well marshalled; sign posted and has adequate water stations. Although not particularly funny the shock on our faces when we realised what had happened may have been amusing to others…the combination of slightly damp weather and car windscreen distribution of chicken run flyers was not a very successful at all and unfortunately left porridge like substance on some cars. Apologies to those impacted and lesson learnt for next year! Would you recommend? This is the second year I have run this race and I really love it. The race token is a rather nice coffee mug and there are excellent cakes available back at race HQ after the race. Highly recommended. 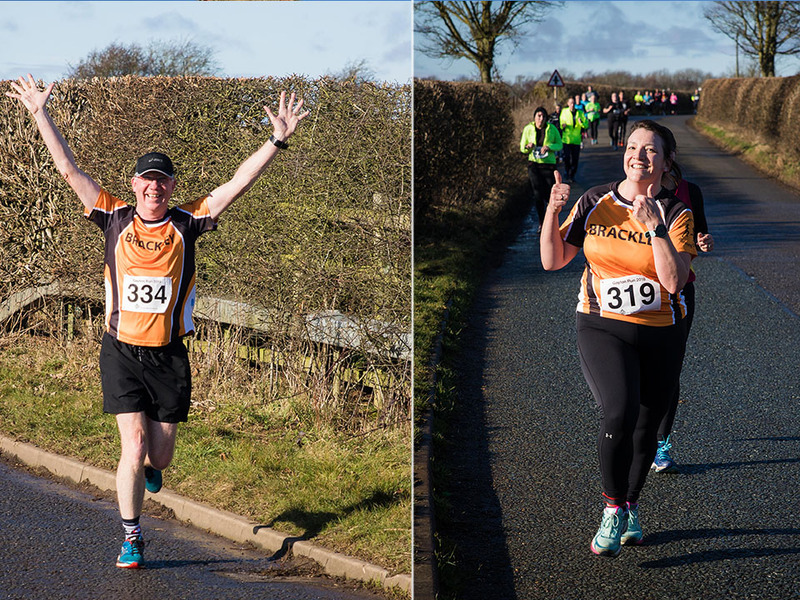 Event Details: For over thirty years Gloucester Athletics Club has staged a 20 mile road race at the end of March. It is a traditional style race, organised by runners for runners, and is popular with those training for a spring marathon. The event has a maximum field of 600 runners and sells out very quickly every year. 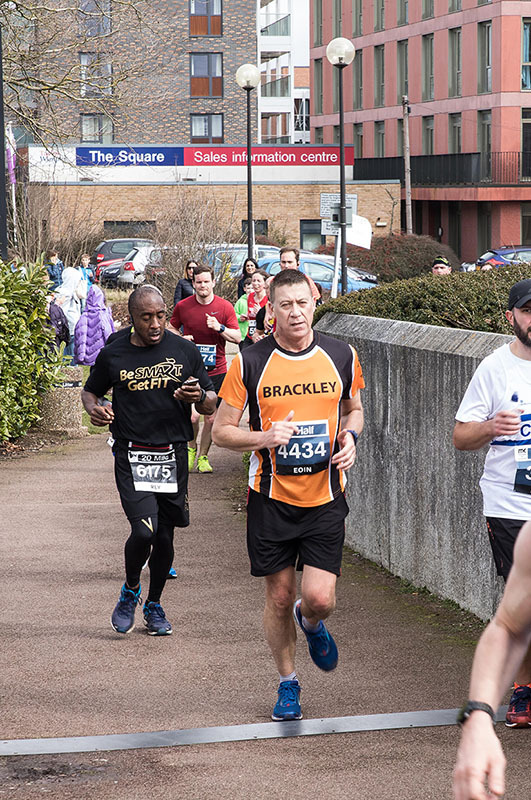 Before the race: Race numbers are not sent out in advance and must be collected from the Robin Greaves Sports Hall on the Waterwells industrial estate in Gloucester. This is an excellent facility with changing rooms, toilets and hot refreshments being served. There were also secure baggage drop arrangements on site. There was free parking at a park & ride nearby meaning a hassle-free preparation for the event. The Race: The race comprises of three loops of a 6.67 mile circuit which at first I was unsure about but in practice worked out really well. 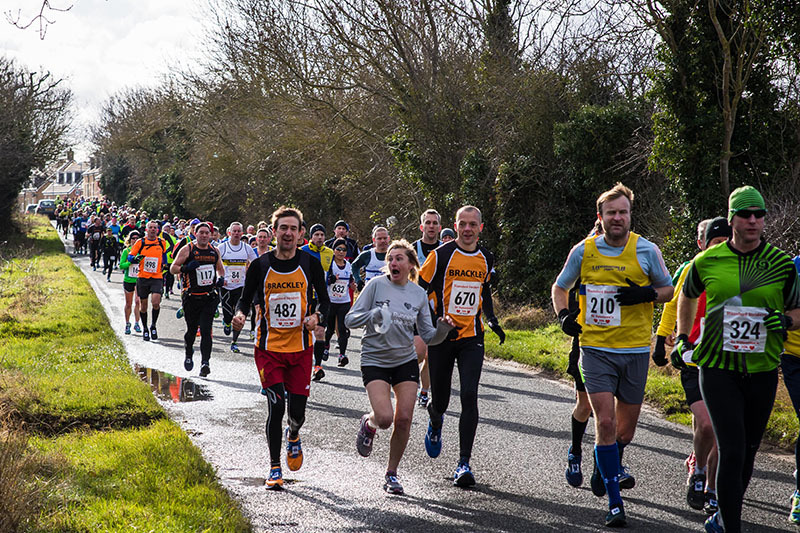 The majority of the course is on quiet country lanes, and while they were open to the traffic there were very few cars so it didn’t cause any problems. If I had any criticism about the course it would be about one section where the runners were directed along a very narrow lane for about half a mile only to reach a point where they had to turn around and run back again. I realise that the organisers had to make up the distance but it meant a very tight turn which ruined any rhythm you had gained. Apart from that it was a lovely course, well supported and marshalled. There were three water stations handing out water in plastic cups. There were a couple of small undulations but the overall race profile was fairly flat. Would you recommend? I would recommend this event without hesitation. Gloucester AC have years of experience staging this event and it shows. Perfect for those wanting a longish run in preparation for a spring marathon in race conditions. Event Details: 3rd event in a 4 race programme starting at MK's Xscape city centre venue. 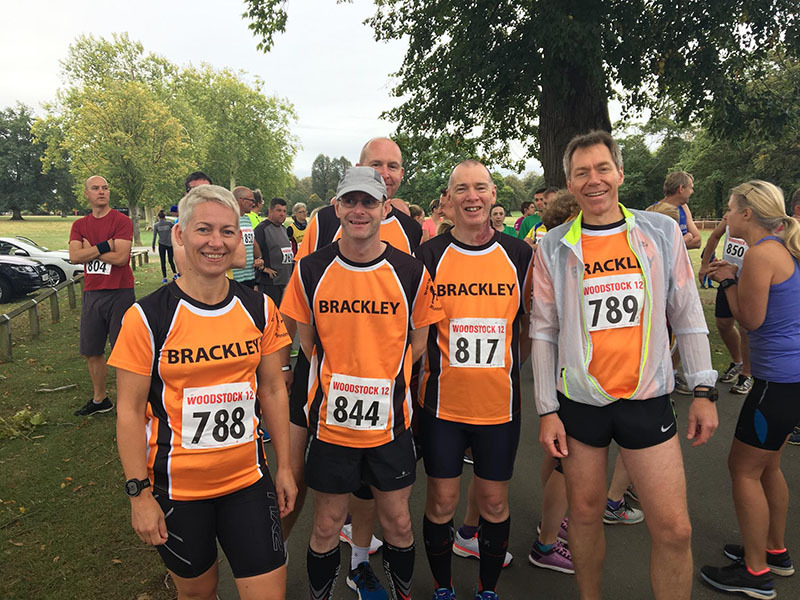 Before the race: For me personally it was another excellent opportunity to get to meet more Brackley runners, and although the event was busy with a fantastic team presence it was easy to pick out the BDRC shirts amongst the crowds. 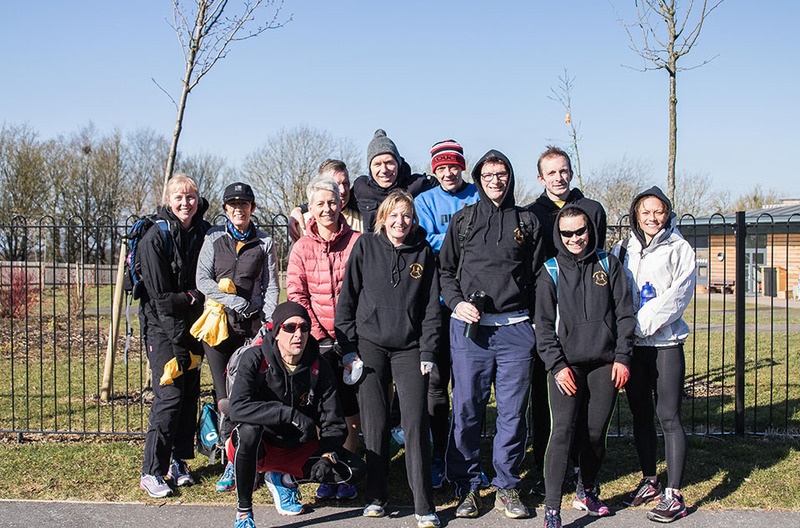 Having everyone around encouraging each other sharing helpful tips, with a bit of banter, together with good running conditions, it led to what was a most enjoyable morning. The event was well marshalled, ample parking, with no problems getting to and away from the venue. 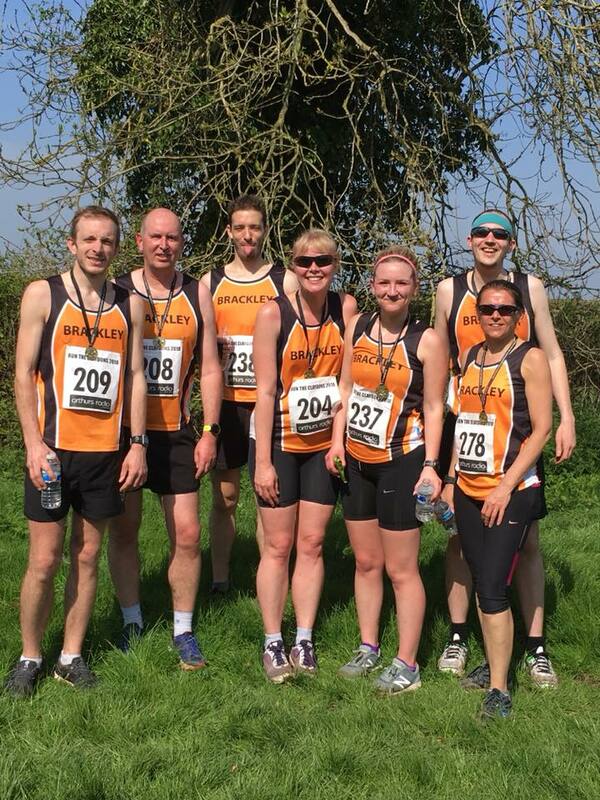 13 BDRC club runners took part in the 10k: Kev, Greg, Ade, Graham, Nicola, Mark, Emily, Richard, Maxine, Sarah, Nichola, Julie & Nikki. The Race: The race: The start line was crowded (over 1300 runners) which led to a slow start for some, but with the wide road the field soon became more stretched, and together with a slight descent for the first 1k the pace picked up. After 2k the race took us off the roads and through Eaglestone, then after 3k we were out in the more rural Woughton-on-the-Green. A well organised drinks station was set up just after 5k before the race took us round the side of Willen Lake. The course was relatively flat throughout with just a few sharp descents and inclines as you ran through the underpasses. That was until the last 1500 metres, where after a steady incline we were faced with a steep and challenging hill through Campbell Park. 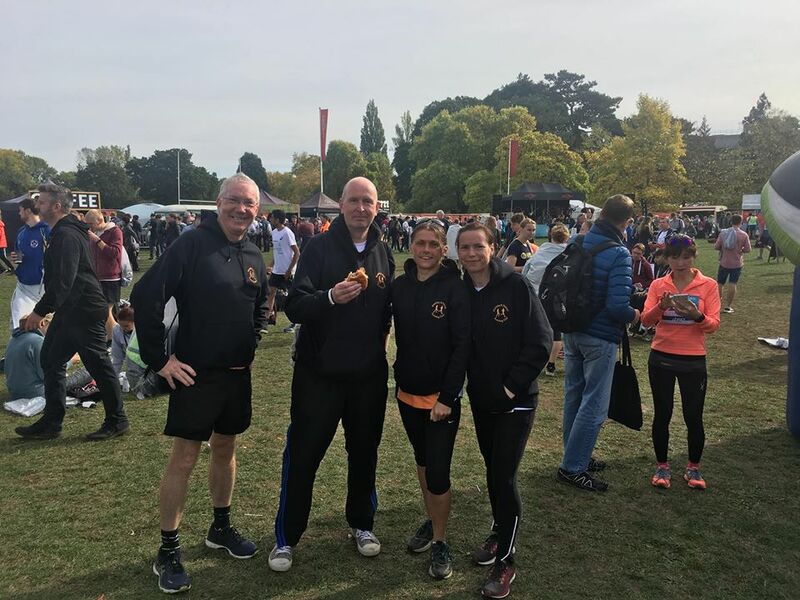 However all efforts were worthwhile, as we were met at the finish by a large enthusiastic crowd, and got to share the experience with other BDRC runners. All in all it was a most enjoyable and well organised event. Noz towering above the rest of the field at the start of the 5k, (kid's race), picking his way through the younger runners to finish with a creditable 19:24. Would you recommend? Would recommend this well organised and well supported event, and will return in 2019. » Click here to view more images of Milton Keynes by Cheryl Torrington. Before the race: A very busy race village with thousands of runners getting ready for 5k, 10k, Half or 20-miles. As usual, the BDRC runners managed to find each other to offer support and insults in equal measure. My one moan - is the start area was a long way from the loos! Brilliant turnout from BDRC across all events. The Race: With close to 1500 people on the start line there was a great atmosphere at the start. Thankfully, the first mile was run on MK’s wide roads, which meant there was plenty of space for runners to spread out and find their pace. The race then moved onto the numerous footpaths and looped down towards Willen Lake, a slight pinch-point at the 2-mile mark when the 20-mile runners were filtering back onto the course, after their first lap, before the path widened up to the first drinks station and some fantastic support from various MK running clubs. The course then took a winding circuit around Willen Lake, before retracing our steps back along the lake front and the turn back towards the Xscape. The final few KM’s were, I think, universally disliked as the route went up through Cambell Park with a very steep section to the very top. The finish line was then in sight. There was fantastic support from the spectators cheering all runners up to the finish line. Watching the local Territorial Army and various cadet groups trying to set-up for (I assume) a parade and getting frustrated that there were several thousand runners warming up in front of their VIP seating! A personal one, but an immense feeling of pride when I managed to overtake Mr Potato Head! Would you recommend? Yes – it was an exceptionally well-organised event, well marshalled and with plenty of water stops along the way. Although some areas were quiet, in many places along the route people had come out of their houses to cheer all runners on as well as offering sweets and oranges. A nice touch was printing names on the numbers as it meant lots of people calling your name to encourage you as well. 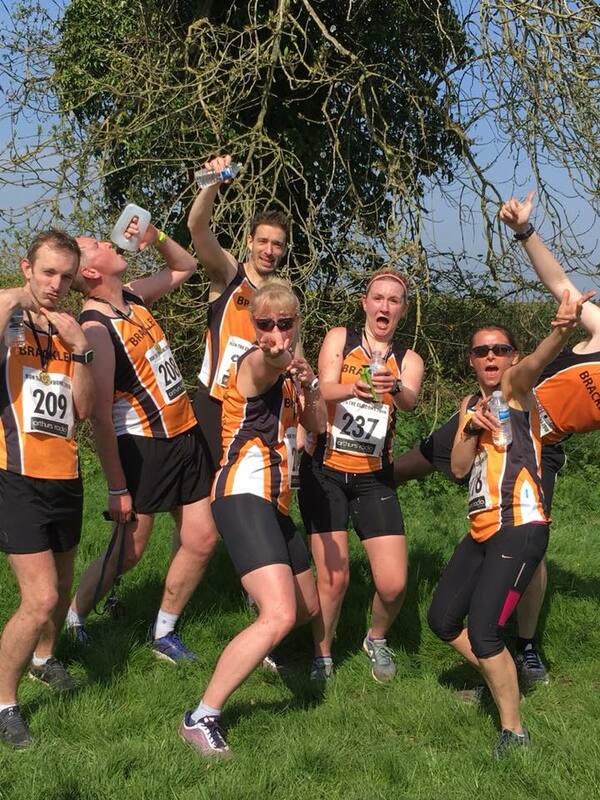 Event Details: A 10K run around the rural Ancient Market Town of Winslow in Buckinghamshire. The course is on the quiet public roads and is undulating, but there is a sharp climb back in to the town about 1Km from the finish. Before the race: The car was parked about 10 minutes away from Furze Down School, the race HQ. We didn’t know that we could get changed into the sport hall and leave our bag, so Serge and I had to go back to the car before the start, therefore we missed the warm up and the group picture. Despite a sunny morning, it was frosty and windy. It wasn’t easy to guess what layers to put on…..undecided, I finally made the right choice to wear only a t-shirt! I started on a good pace and I managed to keep it even in the slightly climbing part after 4 km up to East Claydon. I steadily caught up 2 ladies whom I did most of the race with. After East Claydon, we turned left which made us face the wind. I got passed by a small group when I stopped for a drink at km7. But I got back on them quite quickly. A bit later, one of the 2 ladies dropped so I finished with the other one. In my opinion, the sharp climb hasn’t been that difficult. 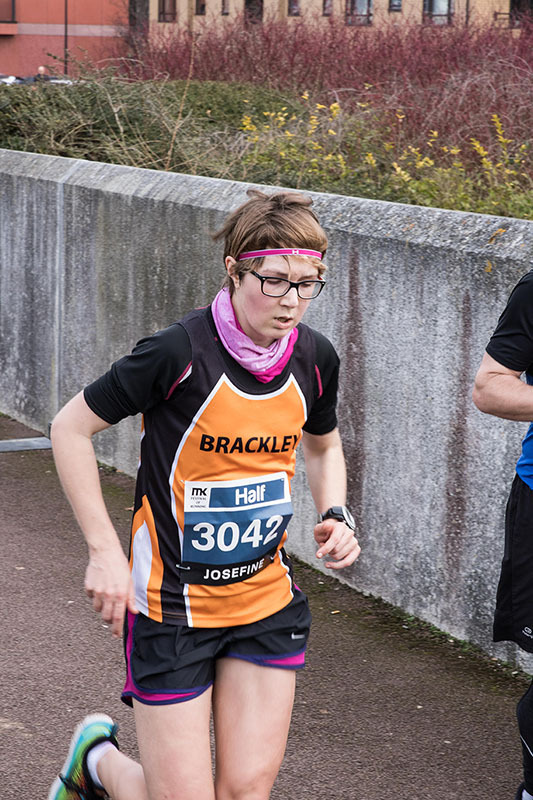 I overtook my race fellow midway through whilst encouraging her, so that we finished together. I felt really well that day. The good feelings turned into a new PB by a good 2 minutes. 344 people finished the race. The group warm up looked funny with all BDRC fellows doing the high jump exercise in the field next to the sport hall. But I took it from the pictures because I missed it. Would you recommend? Yes definitely. It’s nice and flat-ish race, well marshalled and organized. We had to choose between a t-shirt or a sport bottle at the end which was great, but we would have enjoyed some solid food too. » Click here to view more images of Winslow by Cheryl Torrington. Report by: Christopher Noble (AKA Noz). With a little help from Torro & Choochi! Location: Welland Academy, Stamford, Lincs. Event Details: This was the events 25th year. HQ, race start and finish was at Welland Academy. Race goes through Little Casterton, Tolethorpe, Ryhall, Careby, Pickworth and Great Casterton on a challenging rural undulating route. It’s a very popular race and attracts a quality field. 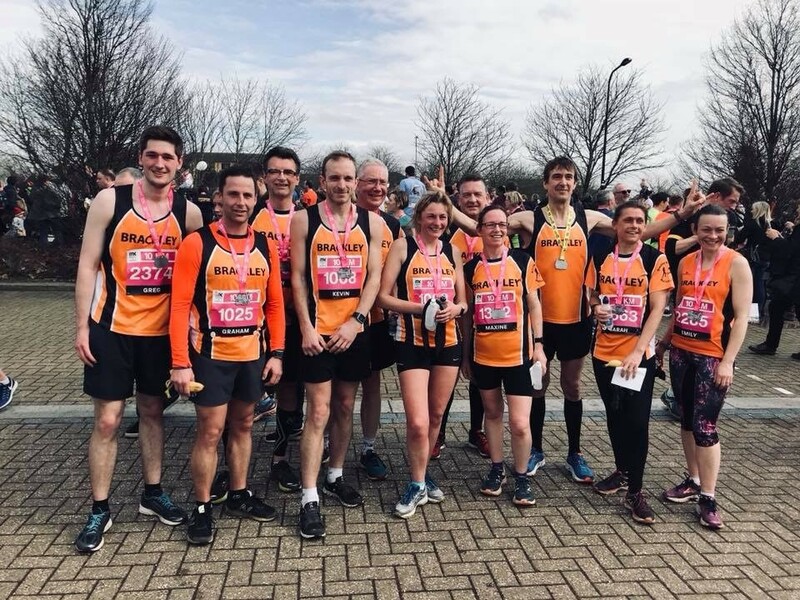 It’s 9th in the Runners World list of 100 Top UK Races and always reaches its race entry limit of 750 runners, therefore no entries on the day. I’d sold this to Choochi and El Torro as a race that should be on everyone’s bucket list. Preparation for El Torro and myself had been hampered by illness, I had just got over flu, El Torro was still suffering from it. Choochi had not run more than 13 miles since injury in September. Due to this, we all planned to treat it as a training run, although I had sussed out that I needed a 2:21:02 to get a platinum WAVA score and would go for it if I was feeling good towards the end. Thanks to Chezza doing the driving, myself and Choochi got a lift with the Torro’s and arrived about an hour before the start. This gave us ample time to collect our race numbers, event shirt and love hearts sweets from the HQ sports hall and also to prepare/warm up etc. Was good to see the CRJ joggers before the start. 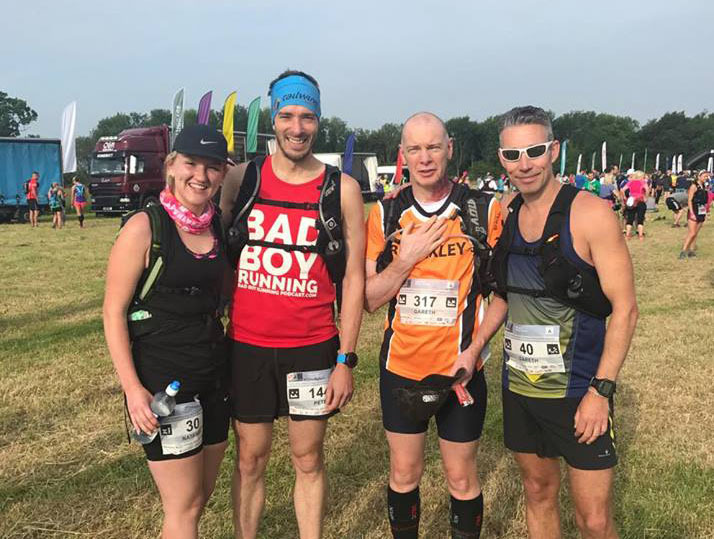 The three of us started together and I had some bants with a few random runners, but after a few miles we had got into our different rhythms and didn’t see each other again till the finish. 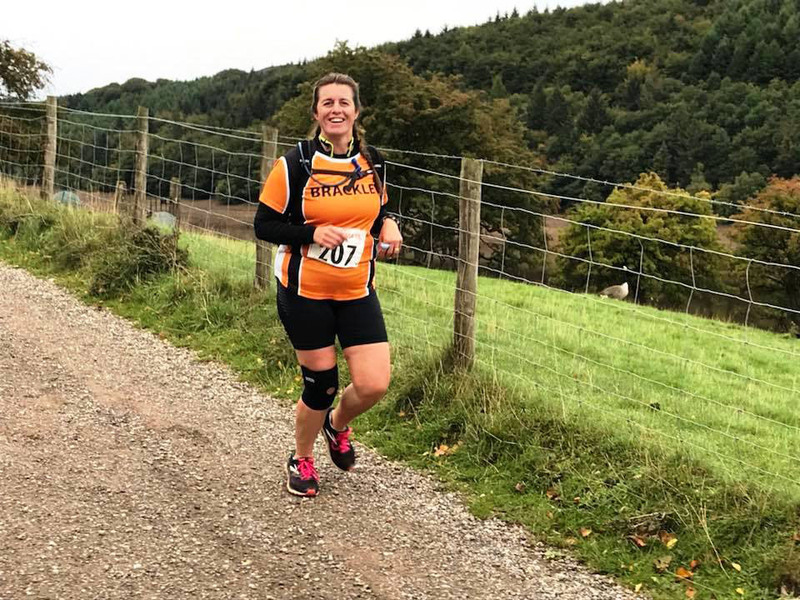 I had done this race twice before (1997 & 2008) and was coping well with the hills and feeling comfortable, but had obviously been enjoying the views and race a bit too much coz with 3 or 4 miles to go all the hills and undulations took their effect. It’s a tough run into the finish and on the final big hill I was cramping up so tried to power walk. Decided it was better to stop and stretch the legs out, which worked a treat as coped a lot better with the last few miles. As I came into the field finish there was the welcome sight of Chezza, so tried to muster up a smile for her camera. 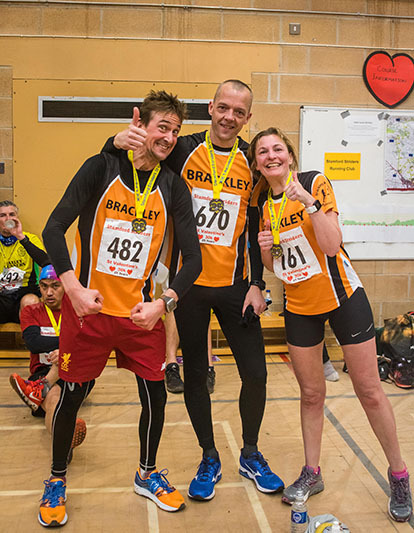 The final turn into the finish line was met with a massive head wind making it feel like you were treading through mud, but crossed the finish line, got a well-deserved medal and went into the sports hall to recover with the free supplies of biscuits, banana’s and water. Chatted to some others and did some stretches (ouch! ), but too knackered to do a proper warm down jog. El Torro did a remarkable time in spite of his flu. Choochi smashed it and found out I wasn’t lying when I said it’s a brill but hard race. I missed WAVA platinum by 9 seconds (0.07%). Think we were all knackered, but had that ‘achieved’ feeling. The day of the race was very cold and as the runners gathered for the start in the entrance to the school we were pleased to be able to get going. 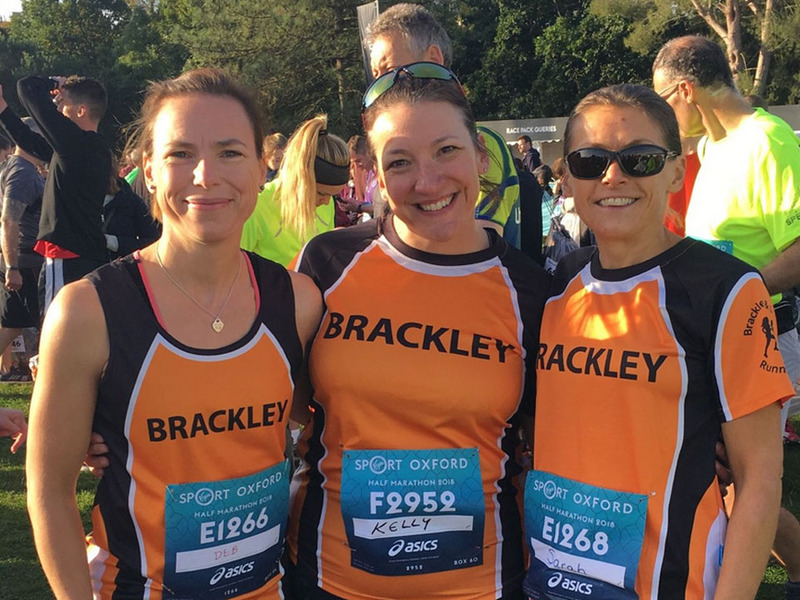 For the first mile, as the route wound its way through the estate on the edge of Stamford, all the runners were bunched together but once on the country lanes we all spread out. The route then followed a scenic loop around small villages on the border of Leicestershire and Rutland. 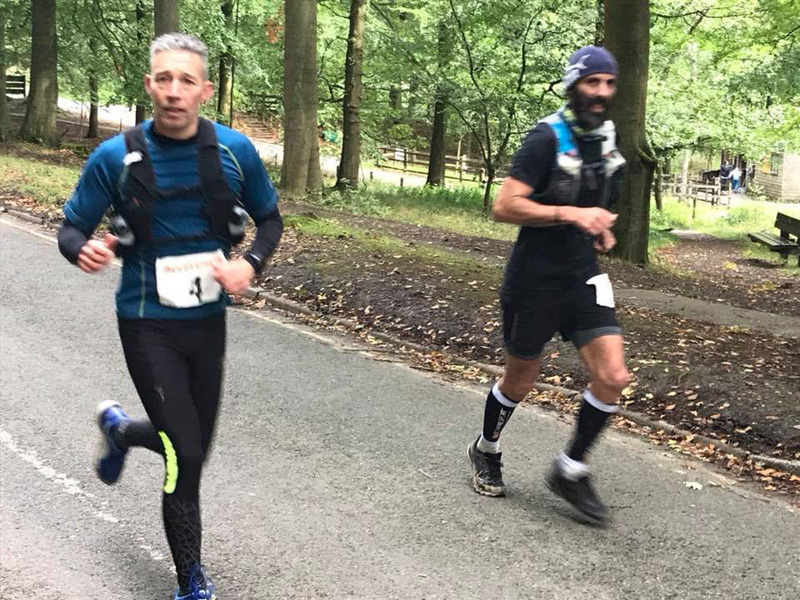 There were plenty of hills, some of which were quite prolonged, but none were very steep and a steady rhythm could be maintained throughout. 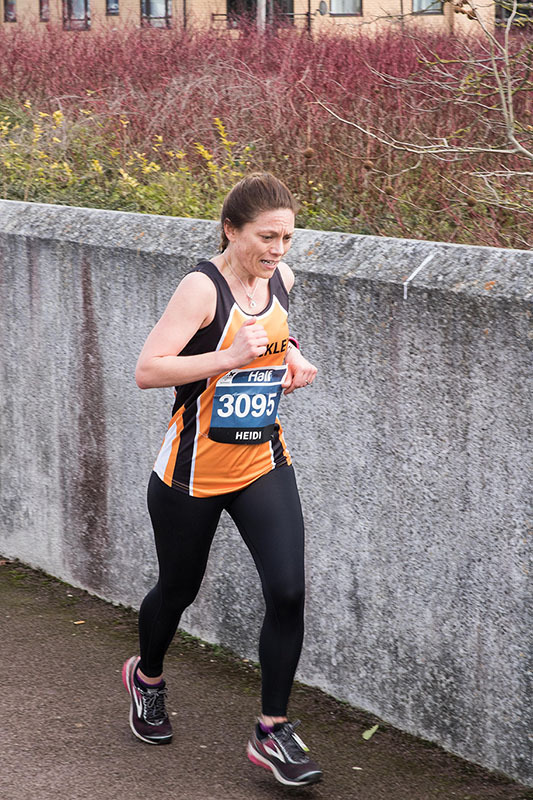 There was one section of the race, at the furthest point from the start, where the runners dropped down in to a valley but had to run into a bitingly cold headwind. It has to be said this was my least favourite part but once we turned out of the wind it was soon forgotten. There was plenty of support around the course and more than enough drinks stations. 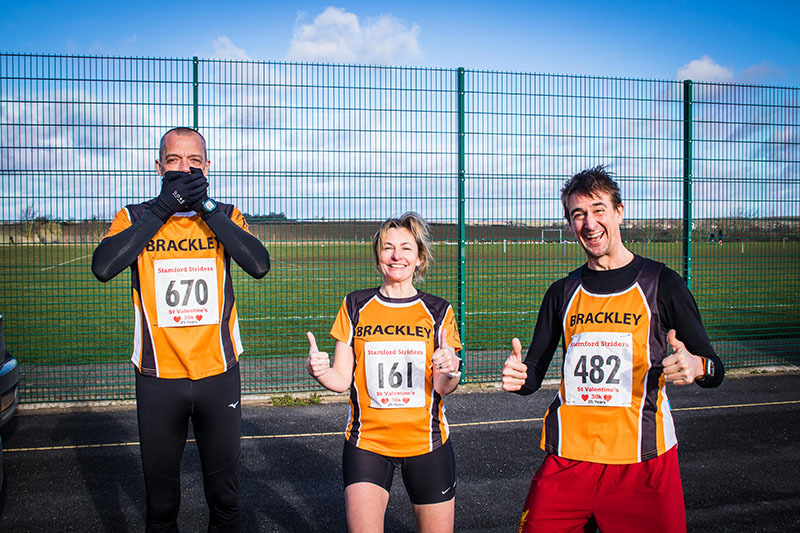 The event was extremely well organised and marshalled which created a fun atmosphere in a challenging environment. Set off with Nozzle & Torro but at around 2.5 miles had to stop at the bottom of a huge hill to take off the long sleeved race shirt I had decided to wear due to the freezing wind at the start. When I set off again they were both in the distance. I tried to keep Torro in my sight, but not for long. The race was very up and down, although there seemed to be more up than down. I was determined not to walk up any hills and succeeded, although I did have to make another stop at 9 miles. The last few miles seemed to be even hillier but I pushed on, finally getting back to the race HQ where we had to run around a school field straight into what felt like a gale force wind, not nice! I saw Chezza which spurred me on for the last 400m. It was great to get inside the school hall and escape the wind (and rain storm that was just starting)! Once inside, I was given food, (which unfortnately I couldn’t eat as I felt sick!). I did, however, stock up on love hearts & chocolate hearts for the kids! Noz - Loads of bants travelling there and back. Choochi - asking El Torro if my hair was fine for Chezza’s post-race group picture. He said yes, but he was lying! Chezza’s comment, ‘you asked a man… who has no hair!!! El Torro - The BDRC members attempting to do a ‘Clip Clop’ style jump for the photographer! Noz - Yes, definitely. A perfect tester for marathon training. Everything is very well organised, from parking, getting numbers, marshals to the set up in the sports hall at the end. 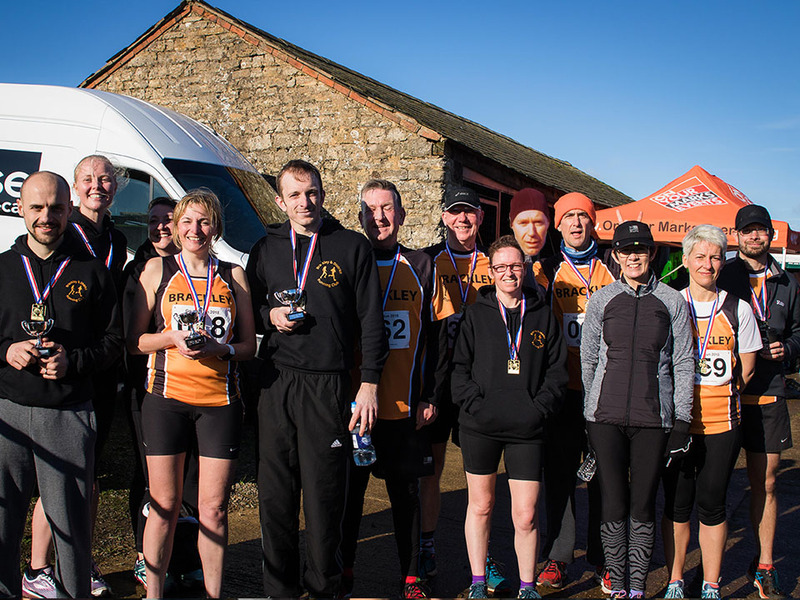 Such a great friendly event, you can see why their motto is Love Running, Love the 30k. El Torro - I would most definitely recommend this race. It is a brilliant event in its own right but is especially good as an early fitness test for those training for a spring marathon. Choochi - Yes - it was so well organised and a good early season confidence booster! Maybe without the wind next time though! » Click here to view more images of Valentine's Race by Cheryl Torrington. Before the race: It was quite a long walk from the car parking at Blisworth Primary School to the race HQ at Wakelin Farm, which seemed to be a lot colder than anywhere else that morning and was very windy. There was a very enthusiastic guy on a microphone who was doing a good job of building the excitement, as well as keeping everybody well informed. 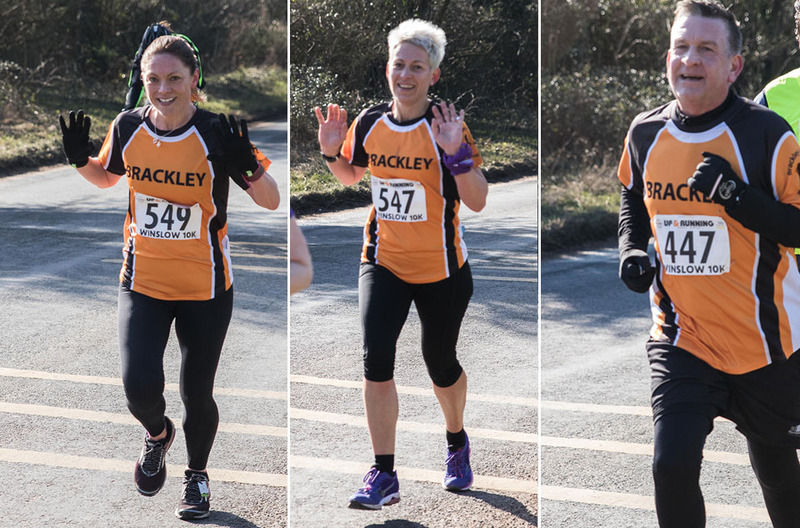 5km - Sam, Nicola (Choochi), Chris (Nozzle) and Nikki (Tucker). The Race: The 5k was described as “lumpy” by Sam! The 10k can also be described as lumpy but with a giant lump right in the middle! The 10k set off first at 11am and at the start I went straight off into the lead. I was very worried that I’d perhaps gone off too quick but soon realised that I was going to spend most of the race on my own. The wind was pretty relentless and it felt like it was continuously blowing towards us until the last mile. To win the race was a superb feeling, a very tough course and not sure that the standard was that high but a wins a win right?? 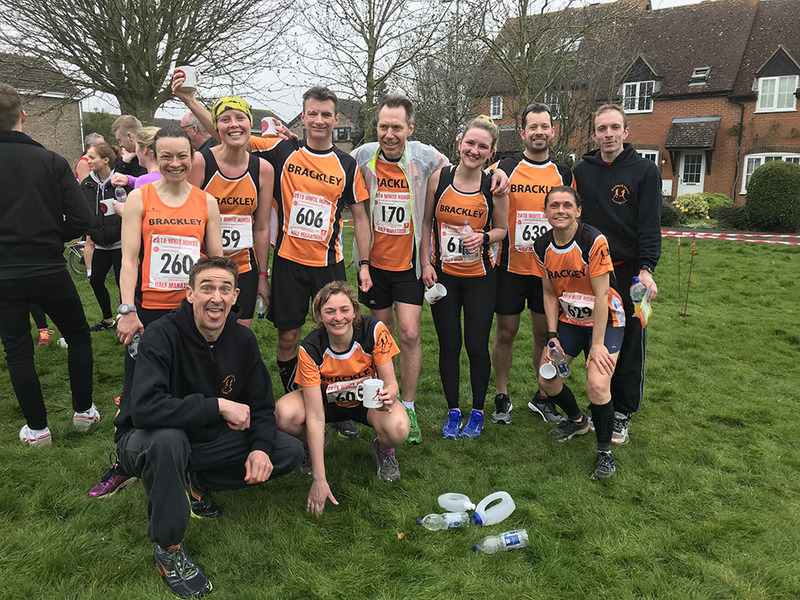 Some great performances from all BDRC members, but a big shoutout to Maxine and Kelly for getting 10k PB’s on such a difficult course, how much quicker could they be on a flat one??? The 5k set off a little bit further up the road about 5 minutes after the 10k. Sam led this from start to finish too and won by just under a minute!! Nozzle finished in 5th with Choochi in 6th (First Lady). Froggles layering up before the race because it was freezing then running in just a vest (bet it was cold then). Nozzle looking like death warmed up on arrival - not sure I’d have been able to run a 20 min 5k if I was that ill! Would you recommend? Would definitely recommend. It was a very well organised event with refreshments, shirts and coffee all for sale and most importantly plenty of Marshalls and a medic (just in case). » Click here to view more images of Gayton by Cheryl Torrington.